3. Low Ca , acid-resistant, non-fading. 4. Finished : Polished, honed, flamed, etc. Main products: Stone slate, slate tile, slate slab, granite slate, marble slate, slate flooring tile, black slate, black slate slab, black slate tile, natural slate, roofing slate, wall slate, sandstone slate, green slate, natural slate, honed slate, polished slate, etc. Slate has been used to create distinctive roofs which stand up well to hardy weather conditions. Roof slate is the perfect combination of beauty and practicality. Installing a slate roof is straightforward using Ninesun's standardized tiles (no need to sort and match for compatible dimensions) complete with pre-drilled, countersunk nail holes for longest slate roof life. We manufacture slate stone in many styles for different purposes. Our products are of consistent quality, high wear-resistance, good luster, bright colors, popular in many overseas countries and regions, and best loved by customers on domestic market. They are ideal decorative materials for house, hotel, restaurant, office building and so on..
Due to the best features of the slate, it becomes one of the most important material in the decoration.It can creat a different image for your project.What is more, it is 100% natural stone, so you are sure to find it healthy and natural. Welcome to contact us for your need. 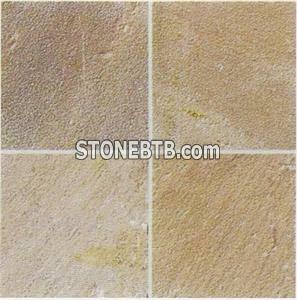 We would do our best to provide you the best stone products.